I don’t think it’s been until the last couple years of my life that I fully realized that fear seems to be at the root of all suffering. I see it in the world with senseless acts of violence and I also see it in the smaller everyday life sort of way. I believe that by understanding fear, what we fear, and why we fear it, we can use fear as a gateway to freedom. I’ll share one of my many dealings with fear. In the past, I’ve been afraid of conflict. I think many of us can relate. The mere thought of standing up to someone who has hurt, disappointed, or injured me seemed worse than than just “forgiving it” and letting it go. I mean, I feared conflict more than the average person fears public speaking (which, I absolutely love, by the way). With that fear of conflict comes a whole host of problems, which I’ll have to save for a later post. Getting back to this fear and my pathway out. The first step was identifying the fear. This wasn’t hard. I already knew that I feared conflict. Hell, my body told me so by giving me a tightness in the chest, increased heart rate, and a general feeling of dread. No secret there. The body knows what we fear most and we usually feel it around the heart chakra. After I realized what I feared, I started to meditate and allowed that fear to be there. Then, using one of Tara Brach’s suggestions, I asked the fear, “what do you believe?” I know, that seems odd to ask an abstract thing like fear what it believes, but, at that point, the fear wasn’t so abstract. I could feel it in my body. I had to ask it a few times before it opened and let me see. See, most of the things we fear come from a belief we picked up somewhere in life, either from school, a parent, or a life event that triggered this reaction. Most times, that belief was never intentionally put there in us, it just happened as a result of human conditioning. Most times, when we ask fear what it believes, we hear an answer that surprises us. My fear of conflict proceeded to tell me that it had quite a few beliefs. The main one was that if I spoke up against someone, they wouldn’t like me anymore or they would retaliate. Digging deeper showed me that it was approval I was seeking. In some torqued fear logic, if I disagreed with someone, they wouldn’t approve, and I needed other’s approval to be ok.
Once a light was shined on how much I was relying on others to tell me I was ok, good, loved, heard, everything- I realized just how much personal power I was giving away! A quote a dear friend shares with me all the time came to mind, “It’s not your business what other people think of you.” Yeah, sit with that a moment… there’s a reason she’s a dear friend. A deep sadness washed over me, as well as a bit of relief. The sadness came from the years of my life lost living in a world where other people were dictating my ok-ness. The relief came when I realized that I had the power to work through this and change it. It wasn’t instant, this recovery. It took time, patience, and a more self-compassion than I ever thought possible. I think it still creeps in from time to time. But, I have a better way of dealing with it. First, I notice it. I see the pattern of thinking and feel the fear. Then I say, “yup, here’s that pesky fear of conflict again.” Second, I remember the fear belief. In my case, I remember that my fear of conflict believes that others must approve of me for me to be ok. Third, I remind myself that my fear belief is not true. I do not need approval of others, especially others who cause hurt or pain! I remind my fear belief that it’s ok to be assertive and speak up. Fourth, if it’s wise, and I feel the need to speak up about something, I do it. It felt awful at first. It was like being afraid of a high-dive and being repeatedly asked to keep jumping off. But, like high dives, it gets easier and easier. With practice, I stopped reacting to that fear. This doesn’t mean I speak up all the time. It doesn’t even mean the fear is gone. It simply means that I won’t allow that fear to rule me anymore. Living in fear is exhausting. More times than not, the fear is worse than the actual situation. 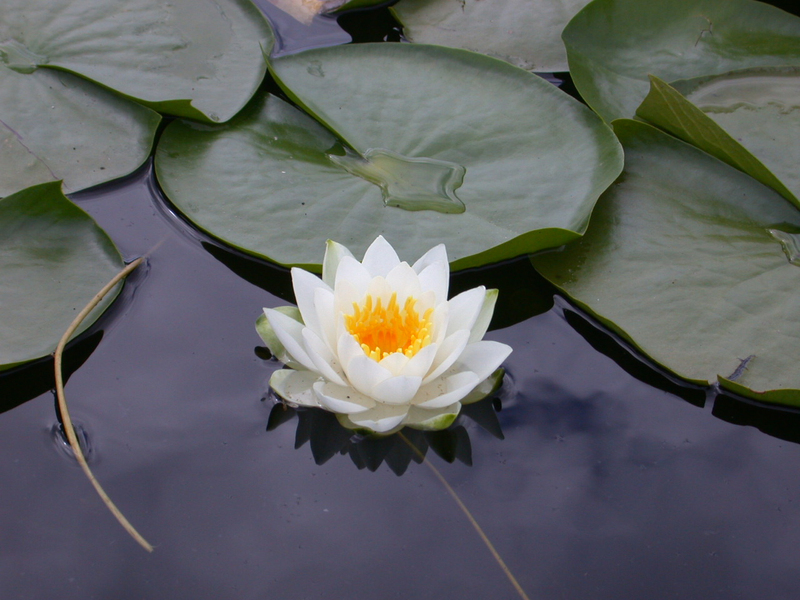 Buddhist Mindfullness Teacher, Tara Brach, has a great talk that deals with fear. You can listen here, or watch the video here. I share this with you in hopes that you can start looking at what you fear and know that there is a way out. It’s possible. It may be a long journey, but it’s worth it. Let’s make 2015 a year to stop allowing fear to rule our bodies and minds. I wanted to share this quote from Pema Chodron from Shambhala Publications. I love how she reminds us that meditation isn’t about making thoughts go away, but rather about seeing clearly. That is where the true beauty lies. It leads to freedom, flexibility, wisdom, and love. Meditation is about seeing clearly the body that we have, the mind that we have, the domestic situation that we have, the job that we have, and the people who are in our lives. It’s about seeing how we react to all these things. It’s seeing our emotions and thoughts just as they are right now, in this very moment, in this very room, on this very seat. It’s about not trying to make them go away, not trying to become better than we are, but just seeing clearly with precision and gentleness…[We] work with cultivating gentleness, innate precision, and the ability to let go of small-mindedness, learning how to open to our thoughts and emotions, to all the people we meet in our world, how to open our minds and hearts. This app is now available on the web and for Android! Please visit the google play store or http://app.stopbreathethink.org to get it! My best friend told me about an app she has started using for meditation. I tried it out, and I love it! 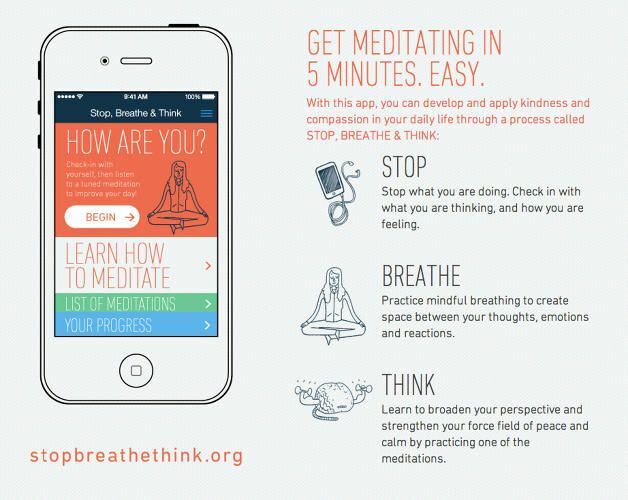 If you’re looking for a good app to enhance your meditation practice, I encourage you to check out Stop, Breath & Think. I’ve only seen it as an Apple app, but it might be available for Andriod. What I love about it is that it allows you to track your feelings, moods, and emotions and then gives you specific meditation practices that can work with your current experience. I have really enjoyed weaving the new ideas into my own practice. Even better, it’s free! Do you have any meditation apps that you really enjoy? Please leave a comment and share! From Everyday Health.com click here to subscribe to the daily quotes. Meditation offers us the opportunity to explore or true nature. Take a few moments today, and all throughout the week to see if you can uncover your true nature. Categories: Great Teachers, meditation, mindful breathing, mindfulness, yoga | Permalink.